Customer satisfaction is one of Hankook Tires top priorities. They ensure value for their customers by consistently providing outstanding services and first-class products. Through eco-friendly engineering, and research and development, Hankook Tires is dedicated to providing the latest in technology, enhanced performance and design to their consumers. The Hankook Optimo H426 adopts a unique rib-block design for its shoulder to minimize vibration and noise and to provide a quiet, smooth ride. The use of an advanced silica tread compound offers improved All-Season performance, better treadwear and lower Rolling Resistance for better fuel economy. 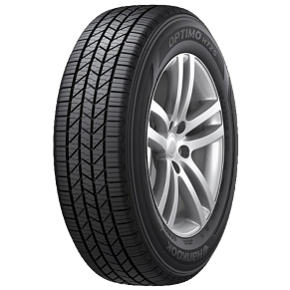 The Touring All-Season Hankook Optimo H725 combines quality with value. 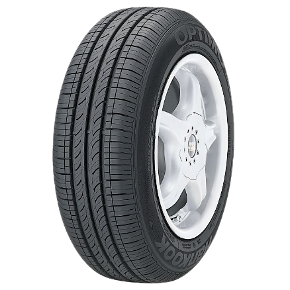 An innovative internal construction offers improved handling and durability, while an advanced tread pattern provides excellent wet and dry braking and winter performance with an emphasis on low road noise. 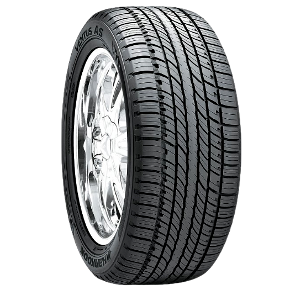 The Hankook Ventus AS is designed as a Performace All-Season tire for Light Truck, SUVs and Crossovers. Suitable as a direct replacement for Original Equipment and Plus-Size applications, the Ventus AS offers a quiet ride and All-season traction. 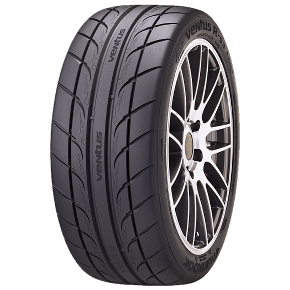 The Hankook Ventus R-S3 is an Extreme Performance Summer tire developed using the same design, technology and compound used to build Hankook's winning Ventus Z214 racing tire, resulting in improved road contact surface area and extreme dry grip.